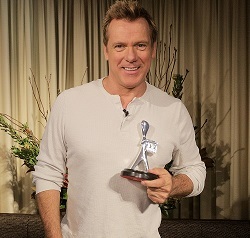 Erik Thomson has taken out the Silver Logie for Best Actor for his role in the South Pacific Pictures produced drama series 800 Words. Thompson plays solo dad and newspaper column writer George Turner in the show which is created for Australia’s Channel 7 network. Previously he starred in the successful series Packed To The Rafters in which played Dave Rafter. 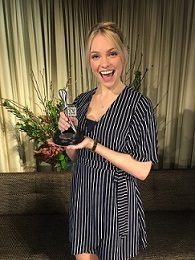 Meanwhile, Melina Vidler who plays George's wayward teenage daughter Shay won her Logie in the Most Outstanding Newcomer - Actress category. A second season of 800 Words is currently in production and will screen on Channel 7 later in the year.